The framework for each landplane is constructed with tubular steel for maximum strength and even distribution of weight. Each landplane is equipped with three full strength angle iron spring-loaded blades which shuffle the dirt back and forth for even distribution. Our relifts are built to be extremely versatile. The discharge may be turned in any direction with minor adjustments. All relifts come complete with power shafts. The 14' multigrader is a versatile farm tool. It comes with endplates, which allow the unit to be used as a box scraper. It can be used to spread gravel, level fields, and much more. With the endplates removed, the unit can be used to build roads, maintain roads, and cut a sloping ditch. The unit hydraulically angles, tilts, and height controls. The multigrader comes equipped with cylinders, hoses, and 11.20 tires. Approximate weight: 6500 lbs. The smooth rollers are great tools on rice and bean ground. Several sizes conform to row crop use. Cylinders, hoses and hydraulic tips are included on hydraulic fold rollers. 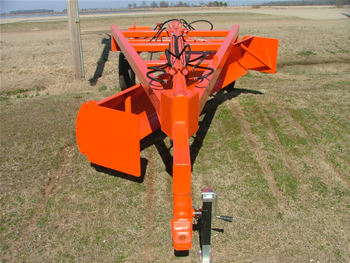 The stubble roller is an efficient tool in preparing a field for spring discing. For best results, tool should be operated in wet fields to achieve smoother surfaces. 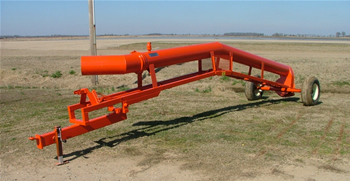 Rollers come in 20' rigid and 26', 30' and 32' fold. 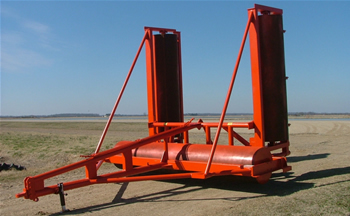 Cylinder(s), hoses, and hydraulic tips are included on folding rollers. All scrapers are heavy duty and excellent tools for working turnrows, leveling gravel, smoothing farm roads, and light fields leveling. Tires and jack, cylinder and hoses included. 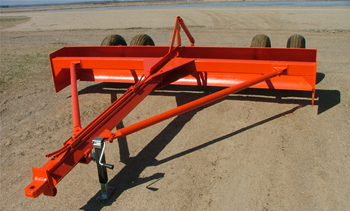 All scrapers come with folding tongue for easy movement via trailer. Replaceable grader blades on each unit. Sizes are 8', 10', 12', and 14'.